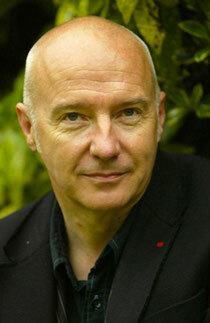 EMI recently announce the return of Ultravox with their first studio album in 28 years. Following on from the sold-out Return To Eden reformation shows in 2009, the classic Ultravox line-up has recorded a 12-track collection of brand new songs which will be released on May 28th ahead of a full UK tour in September and October. Emerging from the new wave and electro scenes of the late-70s, Ultravox fashioned a form of electronic rock music that was uniquely powerful and delivered massive hits though the 1980s such as ‘Hymn’, ‘Dancing With Tears In My Eyes’, ‘The Voice’, ‘Reap The Wild Wind’, ‘Love’s Great Adventure’, ‘We Came To Dance’ and of course the timeless and atmospheric ‘Vienna’. Their new album, ‘Brilliant’, sees Ultravox expanding their classic sonic template and reminding us of their strength as songwriters of the highest calibre. Full details of the album will be revealed soon along with the 13-date tour they will be embarking on later this year. Check some classic Ultravox below.